101 Verplanck Street, Geneva, NY.| MLS# R1171968 | Coldwell Banker Finger Lakes | 315-789-6768 | Geneva NY Homes for Sale, FINGER LAKES PROPERTIES, Seneca Lake, Cayuga Lake, All of the Finger Lakes. Magnificent example of mid-century modern architecture. 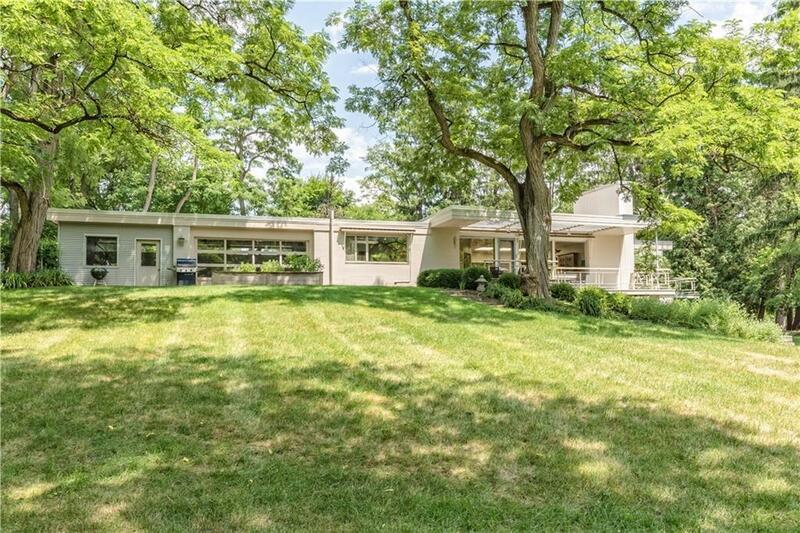 Designed by renowned architect and Geneva native John C Ehrlich. Spacious with natural light from the large windows and skylights bringing the outside in. Enjoy the professionally landscaped and completely fenced backyard from the rear decks, and patio. The master suite has a large bath with tub and shower, walk in closet and private balcony. Pictures do not do the properties design features justice. Directions To Property: Take Pulteney From 5 & 20. Second Right Onto Verplanck. House At The End Of The Dead End.